South Australia embodies everything that makes Australia one of the most breath-taking countries on the planet. Firstly there is the pristine beaches, blue skies and picture-perfect coast. But beyond that, there are also secluded coves, incredible wildlife and legendary wine with food to match. Adelaide is at the centre of the action, but there is so much more to South Australia. Whether that is the rolling Adelaide Hills, the famous Barossa wine region, the abundant wildlife found on Kangaroo Island – or the outback! There’s a whole new world to explore when you visit South Australia, and our beginner’s guide only touches the surface! We can’t reiterate enough that South Australia is an incredible playground of delectable wines, aquatic beauty, unique wildlife encounters, lunar-esque landscapes, and a cosmopolitan capital in Adelaide. Here’s just a selection of what you can do with your time in South Australia. This is possibly the best place in Australia to see an abundance of Aussie wildlife up close and in their natural habitats: koalas, kangaroos, echidnas, seals and dolphins can all be found here. You can even walk amongst a colony of rare Australian sea lions on the beach at Seal Bay Conservation Park! With over 200 cellar doors within a one-hour drive, it’s easy to see why Adelaide is one of the Great Wine Capitals of the World. And when you think about how many famous wine labels grow their grapes here, it’s not hard to understand why. In fact, the stunning Penfolds Magill Estate is located just 10 minutes from Adelaide’s city centre. Head to the Eyre Peninsula where you can swim with sea lions and dolphins, cage dive with great white sharks and go whale watching (May to October). You can also swim with giant cuttlefish from May to July, where you can literally walk out to waist deep water with your mask and snorkel, put your head under the waves and see one of nature’s greatest shows! After your aquatic adventures on the Eyre Peninsula, make sure you don’t leave until you’ve tasted the local Coffin Bay oysters (or other amazing seafood as this place offers an abundance). There are many seaside restaurants offering this local delicacy, or you can book yourself a sightseeing tour to catch some of your own! With miles of picture-perfect coast, rugged, otherworldly outback and lush rolling wine country, South Australia is begging to be explored. The Epicurean Way is one of the most popular routes, and links together the iconic wine regions of McLaren Vale, Adelaide Hills and the Barossa and Clare Valleys. Another popular option is the Southern Ocean Drive. It starts in Adelaide and makes its way through the stunning Fleurieu Peninsula and over to Kangaroo Island where you can meet the local wildlife. Then back on the mainland, you follow the coastline around to seaside towns such as Robe, before arriving in the Coonawarra wine region. Eventually you will reach the South Australia/Victoria border where you can loop back to Adelaide or start along the iconic Great Ocean Road to Melbourne. You read that correctly. South Australia is home to pink lakes; some of which are incredibly vibrant. Scientifically the colour is caused by high salinity levels, combined with the presence of salt-loving algae and pink bacteria known as halobacteria. Less than two hours’ drive from Adelaide, you’ll find Lake Bumbunga, which is popular with photographers and fashion brands! Adelaide is filled to the brim with festivals. 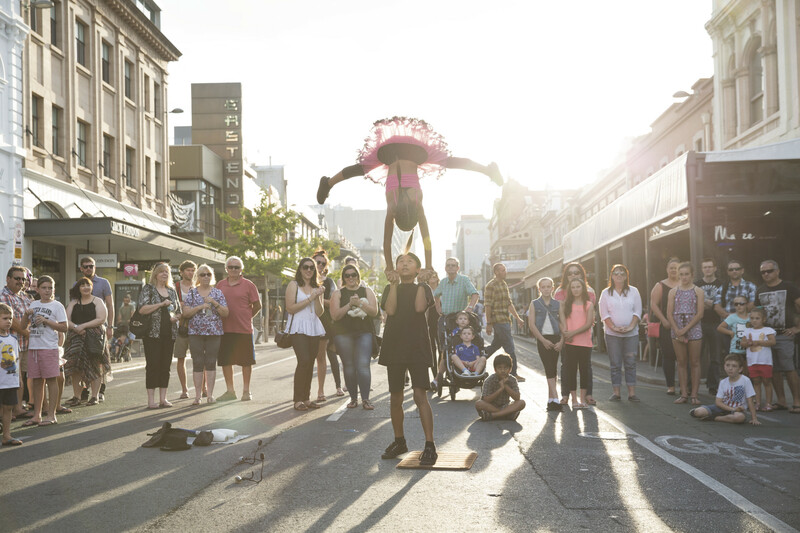 In the space of a few months, Adelaide is host to the massive Adelaide Fringe (the second largest fringe festival in the world), Adelaide Festival, WOMADelaide, Santos Tour Down Under world cycling, and the Superloop Adelaide 500 motor-racing! Australia is famed for its vast open spaces, and South Australia is no different. The state is home to unique South Australian towns, sprawling national parks, fascinating Aboriginal cultural sites, gorges, ancient peaks and craters. And we can’t forget about Wilpena Pound, a gigantic naturally-formed amphitheatre, created over millions of years! You don’t have to travel far to experience South Australia’s outback, a leisurely 5-hour drive stopping overnight in the Clare Valley wine region brings you to the spectacular Flinders Ranges. We’ve already mentioned that South Australia is home to iconic wineries and delicious oysters. But what other flavours can you experience? The Eyre Peninsula isn’t just a prime location for oyster harvesting – it’s a mecca for seafood lovers! Here you’ll also find mouth-watering crab, whiting, blue fin tuna, and crayfish which are also popular menu items at restaurants throughout South Australia. A favourite with late night revellers. This has been served in Adelaide since the 1860s and is a thick pea soup, topped with a traditional Australian meat pie (sometimes submerged) in the middle of it, and then finished off with some tomato sauce! You’ll most likely land in Adelaide Airport, which is only 6km from the city centre, meaning the easiest possible start to your Australian adventure. You can also fly in from other Australian cities: Melbourne is less than an hour away, Sydney is one hour and ten minutes away, and Brisbane is under 2 hours. From the airport, Adelaide itself can be reached via JetExpress or JetBus services, alternatively a taxi costs just AU$20. The famous Ghan train also starts (or finishes) in Adelaide, and offers travel to/from Alice Springs and Darwin. Or there is the Indian Pacific, which travels from Perth – Sydney (v.v) and stops in Adelaide en route. The Adelaide Metro Visitor Pass includes unlimited travel for three consecutive days as well as a visitor pack with maps and travel guides. Alternatively, you can ride one of the 500 Adelaide Free Bikes that you can pick up from 20 different city centre locations. Uber is also available in the city. 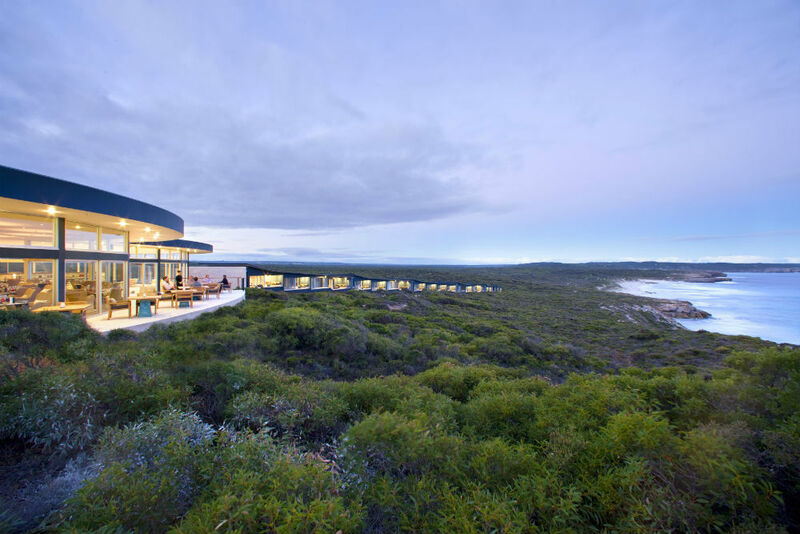 South Australia offers a wide range of accommodation styles. You can try glamping out in the Australian outback, stay in a boutique hotel in the middle of Adelaide or at one of the multiple luxury lodges around the state. Or for a unique stay, you can rent a houseboat on the Murray River!